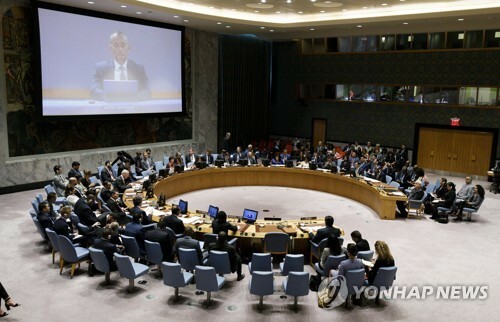 The United Nations Security Council on Monday adopted guidelines to speed the delivery of humanitarian aid to North Korea in the face of strong sanctions against the regime. The United States last month proposed the new guidelines to allow aid groups and UN agencies to quickly obtain exemptions from the council committee that oversees the implementation of sanctions. Dutch Deputy UN Ambassador Lise Gregoire-van Haaren, whose country chairs the sanctions committee, said that none of the 15 council members objected to the plan, and it would be circulated among all 193 U.N. member states. The new guidelines are designed to expedite the process of securing the committee's exemption to provide aid to the North. The new procedures recommend that international and nongovernmental organizations submit their requests in a letter with ten elements, including a description of the items to be delivered and assurances the goods will be used for their intended purposes.